New sounds are being heard at NATO: for the first time, NATO criticizes not the arch-enemy Russia, but the Government in Kiev, which is funded by the EU, telling them to adhere to the Minsk agreements. Whether Kiev can be trusted to adhere to anything, is another question: The country’s extreme right have imposed a blockade of Crimea [contrary to Minsk] — without the government obstructing them at all. NATO Secretary General Jens Stoltenberg has called upon Ukraine to implement the peace plan for the war zone in Donbass. “It is extremely important that Ukraine continue to implement all aspects of the Minsk agreements,” he said on Tuesday in Kiev. No other solution to the conflict exists. Stoltenberg was attending a meeting of the Ukrainian Security Council, the first NATO chief to do so. He then signed an agreement on a planned NATO representative in Kiev. Ukraine’s President Petro Poroshenko confirmed plans for a referendum on a possible NATO membership for the former Soviet republic. 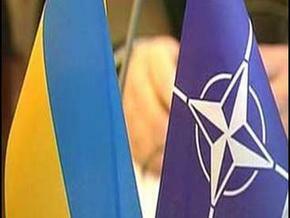 “De jure we are not a member of NATO, but de facto we are more than just partners,” stressed Poroshenko. Since early September in eastern Ukraine, a ceasefire between government forces and the rebels is holding reasonably well. In fact, that is why the OSCE is concerned that the Donbass civilian population could be exposed to extreme cold during the winter, without being able to protect themselves. The water system has been destroyed virtually throughout the region, many areas are mined. The OSCE called on Ukraine a few days ago to withdraw their army, so that the residents in rebel-controlled areas with the worst damage can do at least makeshift repairs. There is disagreement, however, over [two aspects of the Mink agreement] a desired weapons withdrawal from the front, as well as local elections according to Ukrainian law in the breakaway regions. The rebels showed a willingness to compromise, possibly to postpone their planned October 18 and November 1 elections till the end of February. In the Belarusian capital Minsk, the Ukraine Contact Group wanted to discuss on Tuesday the peace plan. Already former Federal Foreign Minister Frank-Walter Steinmeier had shown himself to be unusually confident that the war in Ukraine can be contained for the time being. Americans and Russians seem to have reached initial agreement, to co-operate in Syria. And neither of the two great powers can win much right now in Ukraine. Furthermore, EU taxpayers have taken on the financing of Ukraine, providing breathing-room for the conflict there between the U.S. and Russia. The NATO communication is a tactical measure, as shown, above all, by the announcement that a NATO Embassy will be established in Ukraine. Furthermore, the United States have just started the deployment of new nuclear weapons in Germany, which is regarded by the Russians as a provocation. The Bundestag had expressly rejected this development some time ago. But German Chancellor Angela Merkel considers it right — thus also needlessly complicating a possible mediating role for Germany in the Ukrainian conflict. The biggest unknown, however, in the short term, is the unstable political situation within Ukraine. A few days ago a senior right-wing extremist was killed in an explosion. The right-wing extremists are plotting revenge. The civil war might shift to the Western Ukraine. The regional power of the right-wing is also likely to escalate the conflict with Russia again: Right-wing extremists, whom the government of Ukraine allows to move freely even in the war-zone, refuses to comply with Ukrainian law, and has blocked the highways connecting Crimea to the East of Ukraine. This blockade, which is supported by anti-Crimean Tatars outside of Crimea, could cause supply problems before winter (see the video at the beginning of the article [It’s in English! ]).